Local IT integrator and service partner Datacom, has completed the world’s largest production SAP migration to the Microsoft Azure Cloud platform." Local IT integrator and service partner Datacom, has completed the world’s largest production SAP migration to the Microsoft Azure Cloud platform. 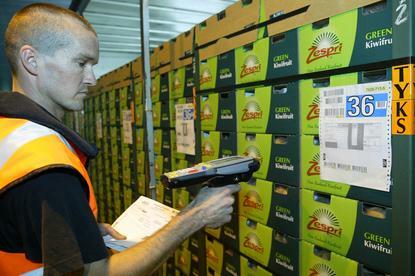 From the Mount Maunganui location in New Zealand’s Bay of Plenty, the company migrated Zespri International’s global SAP platform, with Zespri Asia, Zespri Europe, and Zespri New Zealand potentially set to work off those systems immediately post migration. “Datacom had the flexibility, technical knowledge, and can-do attitude to help us evaluate Azure and work toward our target of 100 percent public cloud,” says Andrew Goodin, Global Manager of Information Systems, Zespri, who's global kiwifruit sales totalled NZ$1.35 billion in 2013/14, operating in 53 countries and multiple timezones. Datacom initially set up a test environment in Azure to test the performance of SAP in the cloud, clocking in a response time equal to or better than onshore. The initial results were promising with a high degree of confidence that the SAP landscapes would run efficiently on Azure, perform appropriately, and continue to deliver value to the global business. Goodin says the migration involved approximately 230 Microsoft Azure Virtual Machines running in the western US Azure data centre. Duffy says having these workloads running outside of New Zealand provides the global reach that Zespri requires for their international workforce and distribution network. “You can’t be an expert in everything, and we wanted to focus on our core product, kiwifruit, and let our partners Datacom and Microsoft manage our IT infrastructure so we can scale without constraints,” Goodin adds. “We can bump up Azure performance in minutes by adding additional resources, which is not possible in the on-premises world. Scott Green, Director of ITM Datacom believes it’s a "great example" of how a collaborative partnership between Zespri, Datacom and Microsoft can deliver a world first. “This is further proof of our approach to building customer centric solutions around individual client requirements," he adds. "We have the ability to support the full spectrum of approaches, local virtual cloud solutions for secure high performance, through to geographically distributed hybrid solutions. "We maintain that it is vital that customers need to pick their technology partner first, then work with them to select the right infrastructure platform to fit their strategic needs, rather than the other way around." This public cloud service delivery was designed and implemented by a Datacom team in the Midland region. David Duffy, General Manager of Datacom Midlands, says that matching Zespri’s needs with various cloud options found that Microsoft Azure was an ideal strategic business fit. For Zespri, Datacom assessed this technology decision on cost, global reach, experience and alignment with software choices. “We have a solid, longstanding partnership with Microsoft," Duffy adds. "While every customer has different needs, the Azure platform was a very good fit for Zespri – with a strong value proposition comprising software as a service (SaaS) and platform as a service (PaaS) solutions."